PHCC-LI offers summer air-conditioning system maintenance, energy efficiency and warning signs for homeowners. On Long Island, many homeowners have central air conditioning systems installed in their homes. Due to the large investment in these systems, homeowners need to ensure that their HVAC units are continually operating properly and at their peak efficiency. Failure to keep up with maintenance has the potential to cause damage to HVAC systems. In some cases, not keeping up with maintenance and regular cleanings may lead to system failure, expensive repairs or the need to replace equipment entirely. Beyond system operations, health hazards such as mold and bacteria can be spread through a home HVAC system if it is not maintained and cleaned properly and regularly. 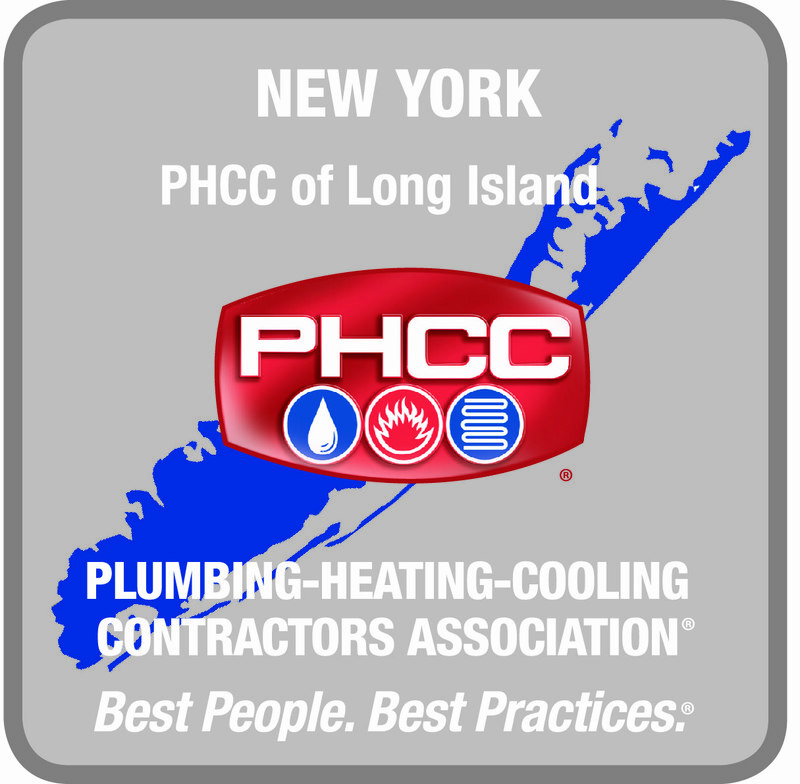 The members of The Plumbing Heating Cooling Contractors (PHCC) of Long Island are trained professionals who work with these systems every day. To ensure that systems are operating properly and efficiently, the PHCC offers the following recommendations for homeowners to ensure an enjoyable, cool, healthy and headache- free summer. Every year, homeowners should have a local licensed professional from the Plumbing Heating Cooling Contractors (PHCC) of Long Island to inspect and evaluate the home HVAC system. They will also determine if the HVAC system is properly working and if there are any maintenance issues or repairs that need to be made. Clear outside debris from around the unit. Homeowners should allow at least 12 inches of space around the HVAC System. Remove or trim plants or bushes that are surrounding the home unit which will make it easier for the system to intake fresh air from all sides. Check the system’s ducts periodically. Make sure to quickly repair any holes or gaps found using metallic or duct tape. If major damage or holes are found, a professional should be contacted immediately to repair the ducts. When possible, leave the system’s air vents in the open position. When vents are closed it can force the system to work harder, which may result in higher energy bills. When systems are stressed, wear and tear reduces the life span and can lead to further damage. Set your HVAC system at an optimal temperature. The recommended optimal temperature in a home during the summer is 72 degrees Fahrenheit. Doing this will allow the system use energy efficiently. Apply an HVAC mold inhibitor to ducts. Environmental Protection Agency (EPA), HVAC-approved mold inhibitors can be used to prevent mold growth in your system. Review system specifications and speak with professionals about the best products to use. Keep the system’s ducts dry. If pools of water are found, use an industrial wet vacuum to clean out sitting water. The removal of moisture will limit the potential for damage and reduce the potential of the growth of mold. It is recommended that homeowners clean their systems every six months, primarily in the beginning and end of the summer season. If there is an unusual odor coming from the HVAC System, it is extremely important that the system and ducts are checked immediately by a professional. A sulfur or rotten egg smell may mean that there is an issue with the home’s natural gas supply. Unusual noises coming from the HVAC System most likely means that a repair or maintenance is needed immediately. Grinding, grating, squealing or any other noises should never be ignored. Contact a professional to address the problem. A few issues that can cause your HVAC System water drip are: a clogged drain line, a disconnected drain line, condenser pump problems or a clogged air filter. This warning sign is very important and if noticed a professional should be contacted immediately. When you have an HVAC Preventative Maintenance Agreement, professionals will inspect the system to make sure it can handle the summer heat. Doing this will also ensure efficiency of the system and performance, increase the life of the system and will create an improved air quality and a healthier home environment. These tips were provided by the PHCC. The Plumbing, Heating & Cooling Contractors of Long Island is entering its 78th year as an organization of professional licensed master plumbers, heating contractors and cooling contractors operating on Long Island. Membership consists of established business men and women who recognize the advantages of membership in a professional organization that represents the PHCC industry. The PHCCLI members are committed to PROTECT THE HEALTH AND SAFETY of the general public through establishment, adherence and compliance to detailed code requirements. This objective is realized through high ethical standards, legislative work and continuing education. Membership is open to all licensed plumbers, heating and/or cooling contractors on Long Island. For more information go to www.phccli.org. This article was published on Long Island Patch.